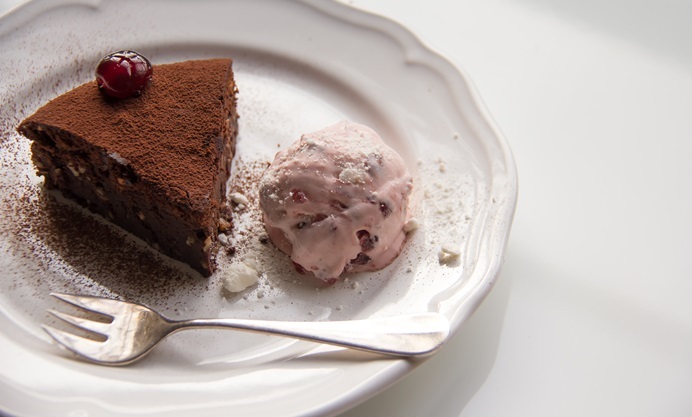 Rosana McPhee's entry for this year's Godiva Chocolate Challenge is a stunning dark chocolate and hazelnut torte, with a touch of pink provided by the heavenly cherry and meringue ice cream. With autumn comes an even greater desire to eat chocolate. Considered a food of the Gods, chocolate is actually a delicacy that exerts a fascination in people: the texture and flavour awaken the senses and provoke emotions. Do not worry, chocolate is not the villain in your diet that some make out - it is also full of nutrients, and of course happiness and pleasure are always good for you. The inspiration for this recipe comes from rich chocolate desserts and cakes from my childhood. Loaded with delicious high-end couverture chocolate this recipe is certainly going to bring happiness. 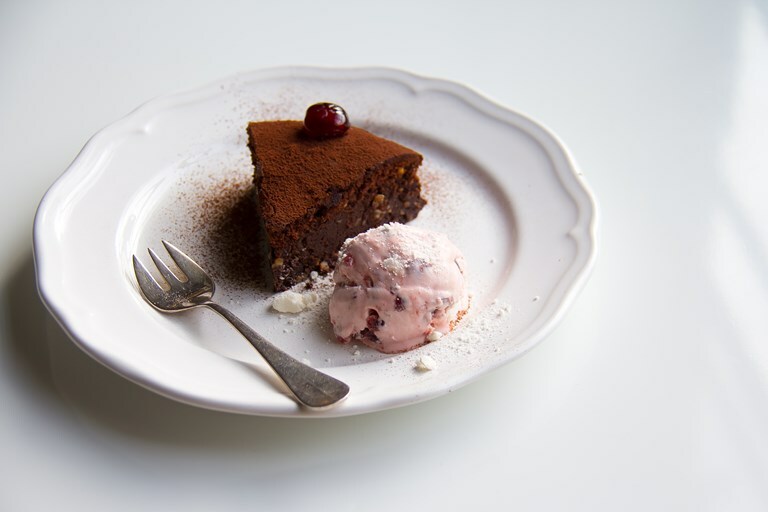 I love the contrast of the sourness of the amarena cherries, crunchy meringue and the suitable sweetness and nuttiness of the chocolate torte.